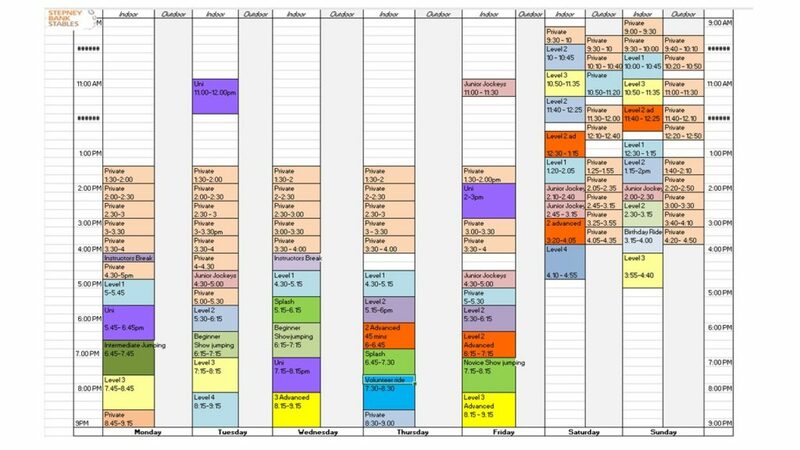 Home Current timetable and What’s on? 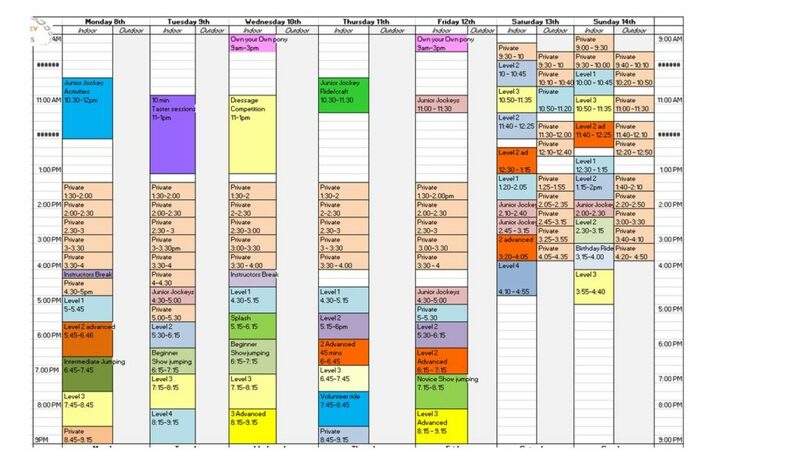 Current timetable and What’s on? 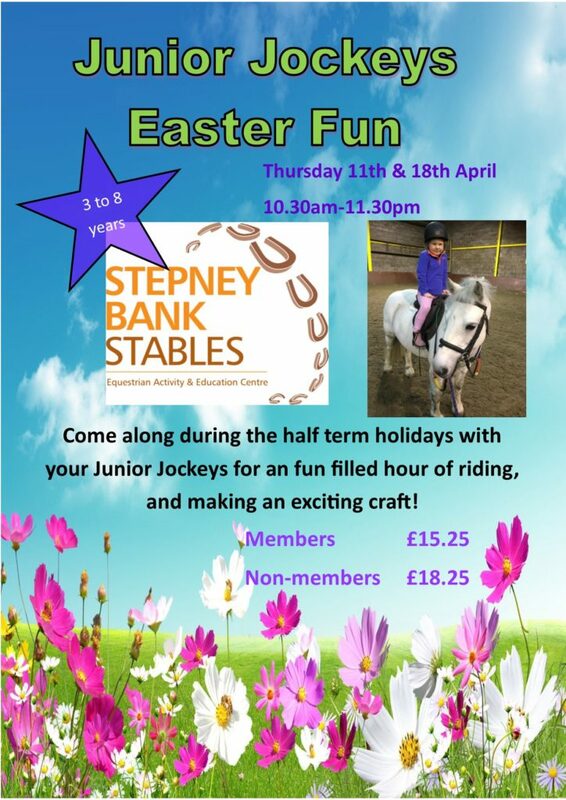 Keep up to date with what we offer here at Stepney Bank Stables! Our holidays are full of different activities for all abilities. Each holiday, we have some regular features such as Own Your Own Pony, competitions and trips away for our volunteers. We often run intensive jumping courses, ABRS testing days, games, Tack and Turn out competitions and Pony ride taster sessions. Have a look below at what is happening over the February half term holidays. To download a description of what is included at each level please visit our Rider information pack which has all the information in that you need to start riding with us! Our private lessons are suitable for 7+ years of age. However, we can provide lessons for younger riders. Private lessons can cover flat work, jumping or a lunge lesson. For those who ride regularly on group lessons they’re an excellent way to focus on a specific element of your riding. Private lessons are very intensive and it may be necessary to incorporate short breaks for our very young riders to allow their muscles and brains to recover! Within these short breaks the instructor may re-cap on the lesson- riders may learn about the points of the house, parts of the tack or maybe practice mounting and dismounting before the lesson continues. 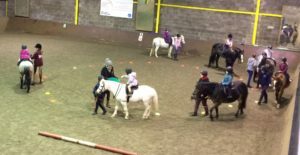 Semi Private lessons for 2 -4 people are also available in the indoor arena in any weekday slot. Birthday parties are perfect if you want to make your child’s party a memorable one! Or, you may wish to get straight to the riding and opt for a riding only party- in which case our team will have the ponies sparkling and ready for guests to mount up and have fun! Parties are available on Sunday afternoons, during school holidays and a various other slots. You can also use our designated party room for food and games. 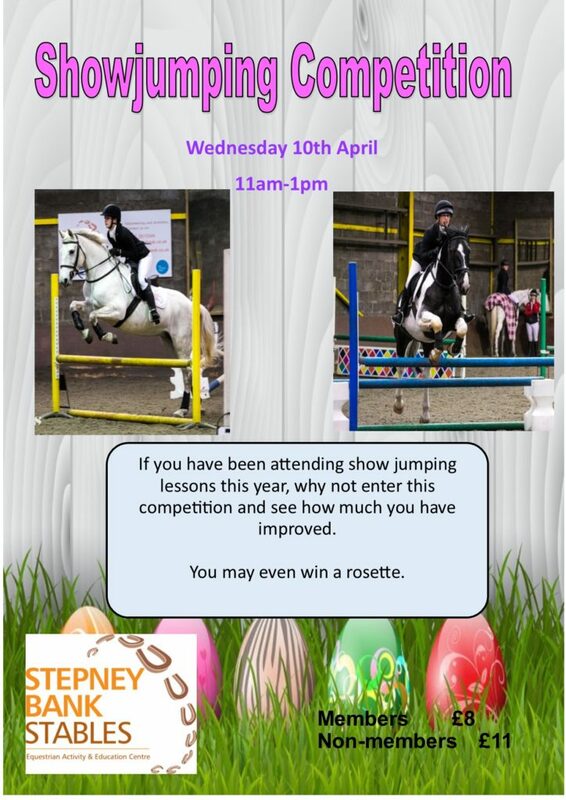 All riding takes place in our indoor arena so any bad weather will not spoil the party fun! 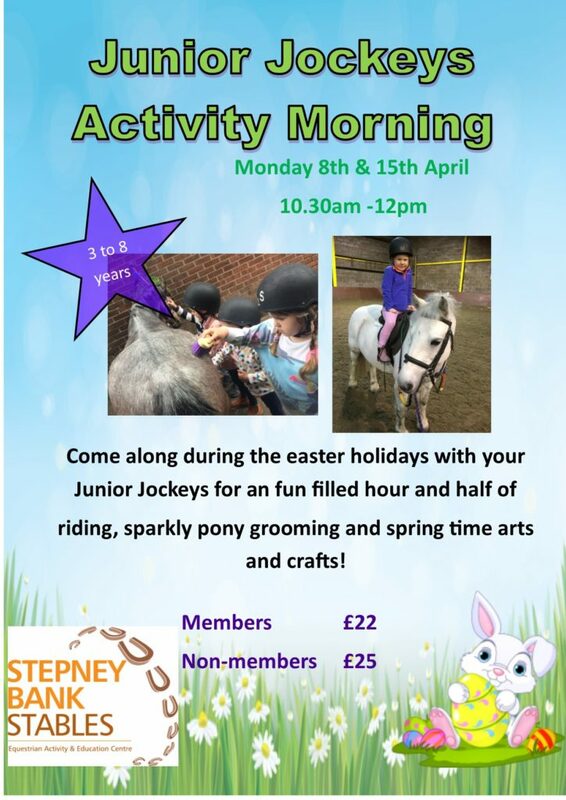 The birthday girl or boy will receive free membership to Stepney Bank Stables and as a special treat, all riders attending the party will receive a birthday rosette. 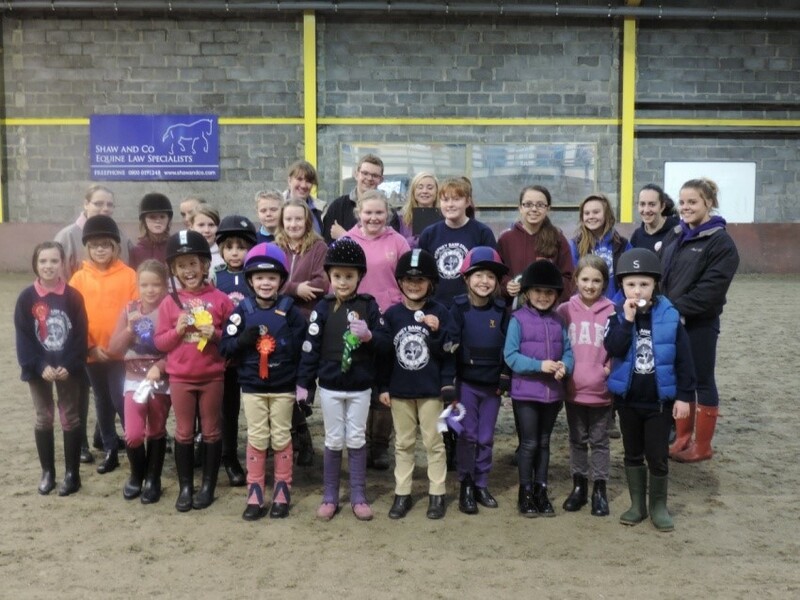 Stepney Bank Stables is registered with The Pony Club of Great Britain. 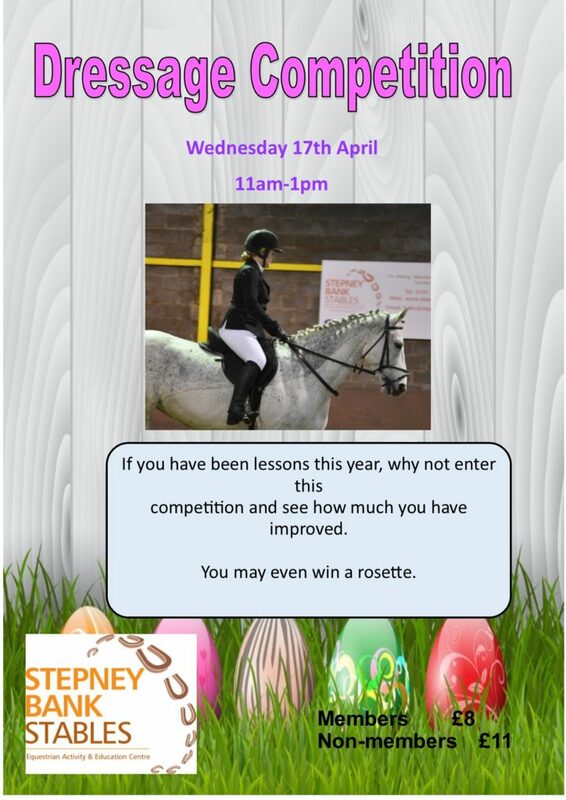 Our Pony Club runs every Wednesday evening. 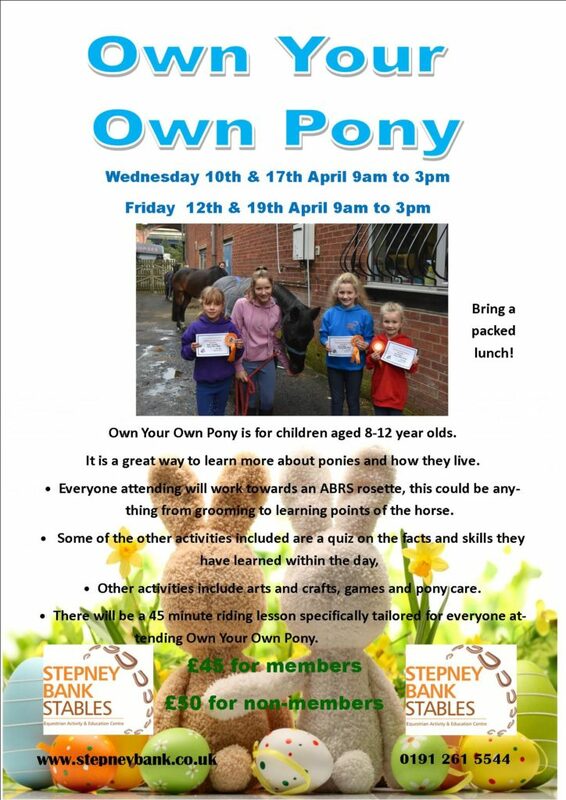 The Pony Club is open to anyone from 5 to 25 years old. We give instruction in horsemanship, as well as promoting the highest ideals of sportsmanship and citizenship to nurture strength of character and self discipline. Sessions are an hour long and run across 4 levels. 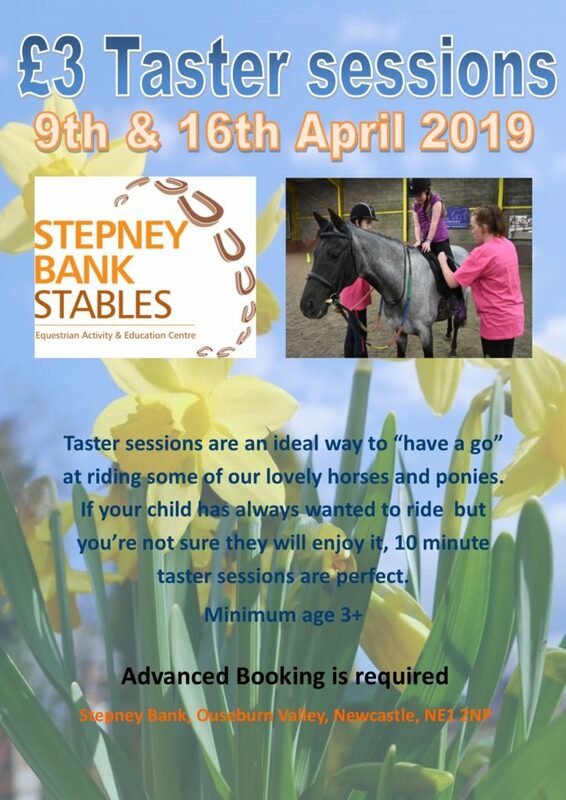 Pony club is bookable by the term at £4 per session (A term must be booked by the end of the previous term to get this price) or the cost is £5 per individual session if you would prefer to book on an ad-hoc basis.